Barcelona general manager Pep Segura has publicly blasted Arturo Vidal for the controversy he has sparked on social media over the past week. As noted by Sport, the Chilean international seemingly hasn’t been too pleased over the last seven days or so and has made the mistake of airing his frustrations on social media with two specific posts. 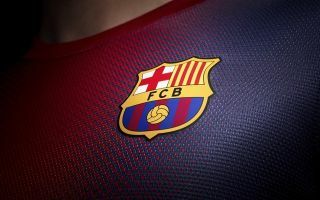 Having failed to establish himself as a regular in coach Ernesto Valverde’s plans so far this season, it’s perhaps not what the summer signing expected after arriving at the Nou Camp from Bayern Munich. He has made nine appearances so far this season, but has played just eight minutes in the Champions League while being left on the bench in two of the last three La Liga outings. Nevertheless, with the Catalan giants competing on multiple fronts for major honours and with such quality and competition for places running through the squad, it’s unlikely that he will play every game and must deal with the possibility of being benched. Segura believes his actions have disrespected his Barcelona teammates, but is confident that the 31-year-old knows to act in future and will make up for it by helping the club achieve their objectives this season. “He shows that he has a great personal will to serve and play at Barcelona, to contribute to Barça winning everything, that’s the positive part. A professional has to respect his peers, the dressing room and the coach and the decisions he takes even if it is not what you expect,” he is quoted as saying by AS. Time will reveal whether or not that is the case as after the international break Valverde will have decisions to make, one which revolves around whether or not Vidal starts regularly in midfield or not. It will be up to the combative midfield ace to show that he’s willing to do whatever is asked in order to help the team win.